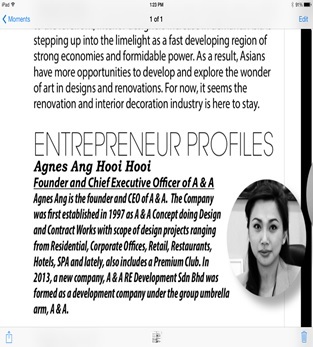 Aesthetically talented and backed by years of experience and good reputation, Agnes has made a mark in the era of great interior designing styles through the age of high tech innovation. When you design, think of the total look of the space. To be great an interior designer will translate ideas into intriguing environments and create corporate identities for office and personal styles.